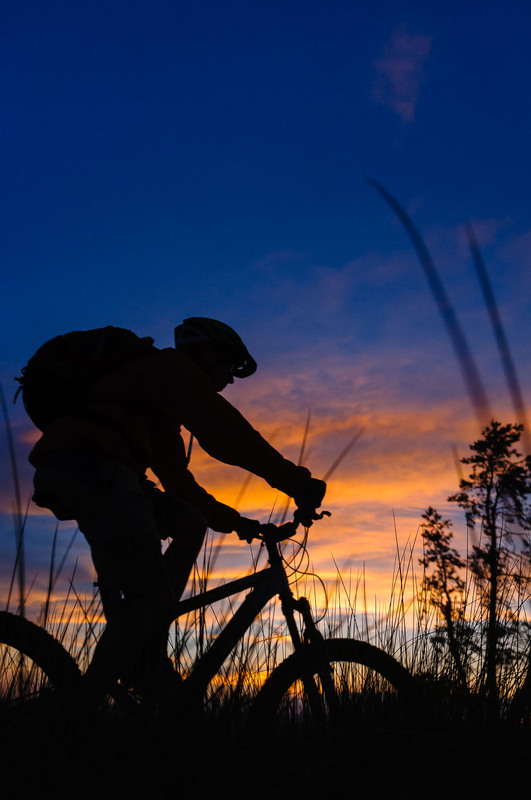 Mountain Biker Silhouetted Against Twilight Dusk Sky at Sunset. Outdoor recreation in the mountains of Colorado. Converted from 14-bit Raw file. sRGB color space.